The first thing you hear when you utter about nursing course is KPJ Healthcare University College. 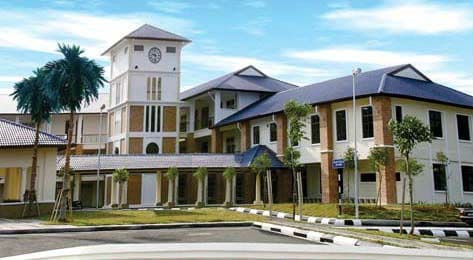 Established in 1991 KPJ Healthcare University College (KPJUC) formerly known as PNC International College of Nursing and Health Sciences is a subsidiary of KPJ Healthcare Berhad. To date KPJUC has grown to a dynamic, meteoric college with unsurpassed track record both locally and internationally. KPJUC does not limit its students achievement in academic only but moulds them being caring, perseverance, adaptability, versatility and selflessness. Its universality concentrates in synthesizes, transcending racial, cultural, social and geographical boundaries. The objective of the programme is to prepare nurses to function as caring, competent, ethical and humane nurses in the hospital and community. KPJ Healthcare University College concentrates in humanistic and holistic approach to nursing. KPJUC provides a comprehensive preparation and a sound foundation in health and nursing sciences which emphasis in lectures and practical training in simulation and skills lab at KPJ’s 23 prestige private hospitals all over Malaysia. Nursing Sciences comprising of medical/surgical nursing and other special nursing area such as Nursing, Obstetric Nursing, Paediatric Nursing and Mental Health Nursing. Health Sciences comprising of Human anatomy and Physiology, Nutrition, Pharmacology and Parasitology, Microbiology and Epidemitology. Behavioural Sciences comprising of Sociology, Psychology and Effective Communication. To produce a skilled assistance to surgeons and anaesthetists in carrying out intricate and complex procedures. To provide course participants with the necessary knowledge and skills to confidently and competently manage the nursing care for sick children. Provides nurses with the knowledge and skills to provide expert care to patients with acute renal failure and associated conditions. KPJUC has a track record of 100% success rate in Nursing Board Terminal Examinations. To date KPJUC produced approximately 5 000 nurses and healthcare professionals with Degree, Diploma and post graduate specialization qualification. The strength of KPJUC is enhanced and galvanized by dedicated, well qualified lecturers who strive to unleash and develop holistically their students. KPJUC stops at nothing to strive for excellence. KPJUC has built alliance with foreign universities from Australia and United Kingdom. These ties pack KPJUC with advanced, unique and professional support of quality and diversity. KPJUC’s collaboratively undertake several nurse education programs with University of South Australia (UniSA). It’s track record is 239 Critical care Nurses, 96 graduates in Teaching and Education for Senior Nursing Officers, Nurse Lecturers and Nurse Instructors, 256 Heads of Services and executives in Healthcare Management and Leadership. KPJUC even ties with Liverpool John Moores University, United Kingdom for Operating Theatre Practice Program and Herfordshire, United Kingdom for Bsc. (Hons) International Nursing. Upholding the highest professionalism in healthcare education. Towards a healthy and informed society through integration of health education research and comprehensive healthcare. KPJUC is committed to deliver recognized training and educational programs that meet customer expectation by continually improving systems and adopting high standards of quality. KPJ Healthcare Berhad (KPJ) is listed on the Main Market of Bursa Malaysia Securities Berhad. 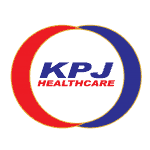 Currently KPJ is the largest private healthcare network in Malaysia with 25 private specialist hospitals. Through KPJ Healthcare University College, the company is fulfilling the academic and career ambitions in healthcare industry’s requirements for medical specialists, skilled nurses and allied healthcare professionalisms.